​The Marion County Chamber’s Governmental Affairs and Economic Development divisions help the county’s businesses prosper by advocating for legislative changes that enhance the business environment and partnering with other local organizations to improve the local economy. Palatine Park – Marion County opened its doors to the new Palatine Park in June 2014. Highlighted by a free Splash Park for children, the park now features restrooms, playground equipment, picnic tables all set on a beautiful riverside. The newly rebuilt stage on the riverfront hosts weekend events from April through October of each year. 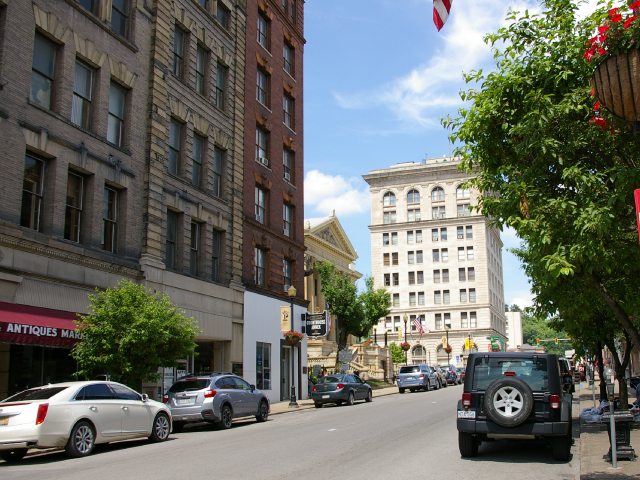 I-79 Gateway Connector – This innovatively designed highway connecting downtown Fairmont and Interstate 79 makes the downtown area, especially the riverfront, a very attractive market for private development. Fairmont State University – University Terrace, the new 347-bed student housing facility, opened in the fall of 2016 on the University's 120-acre main campus off Locust Avenue. The housing facility is comprised of three buildings, North Hall, West Hall and East Hall. The buildings offer a mix of semi-suites, studio single apartments, double apartments and quad apartments. The $30 million project includes an outdoor theatre-style seating area, a rain garden, 24-hour laundry rooms with flat screen TVs and vending machines, grab and go dining options and more. I-79 Technology Park Expansion – Expansion continues at the West Virginia High Tech Park. The High Technology Foundation recently constructed two new facilities that boasts more than 125,000 square feet of Class A office and laboratory space, as well as two 2,300-square-foot roof gardens. The Advanced Technology Center (ATC), to be located in the I-79 Technology will deliver the technical training necessary to move West Virginia’s economy forward. This educational facility is part of Pierpont Community & Technical College and opened in the summer of 2016.